Another 20 Miles is Live! That’s right – two deadlines in a row met! Booyah! Go me! To celebrate, I’m running book 1, 300 Miles, free for five days in ebook. If you don’t have it already, here’s your chance to get it free. If you do have it, and loved it, share the love with your friends. It’s free from 6/16 through 6/20. 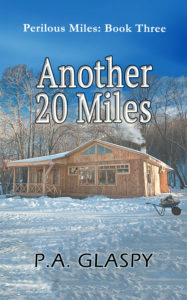 Because I’m so excited for everyone to read this series, I am discounting the ebook version of book 2, 15 Miles from Home, as well. From Sunday, 6/17 through Wednesday, 6/20, you can get it for $1.99. That’s 33% off the regular price! Also, the audio for this one should be live any day now. I want to wish all the dads on my list a Happy Father’s Day, as well as my own. I love you, Dad! All the book links are below. 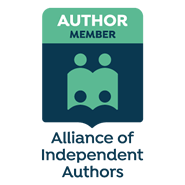 Feel free to share this email with anyone you think might want a good book to read. If you haven’t left a review on any of them, please take a minute to do that. Reviews really help with sales. Thank you for your support! You guys rock!